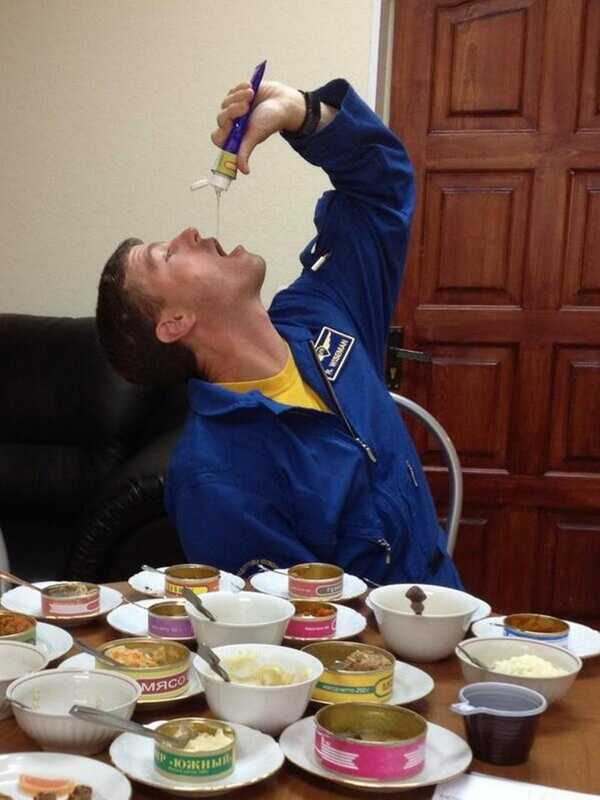 Astronaut Reid Wiseman samples some Russian honey (get your minds out of the gutter, guys) to finish off his meal of Russian space food. Wiseman, German astronaut Alexander Gerst and Russian cosmonaut Max Suraev will be going up to the International Space Station next year. That space food looks yummy!